Join faculty composer Andrea Mazzariello and visiting ensemble Mobius Percussion for a screening of video work that foregrounds original music, featuring the world premiere of a film version of Mazzariello's "Symmetry and Sharing." Other works include visual treatments of technologically-assisted spoken word, collisions of music and theater, even a new music audiovisual secret family recipe. The screening session will be followed by a Q&A session with the featured artists. Andrea Mazzariello is a composer, performer, writer, and teacher. His music thinks through the physiology of performance in terms of instrumental technique, often extended through technological intervention, and pays special attention to the treatment and setting of his own original text, spoken and sung. He’s active as a solo performer of his own work, for a novel and evolving instrumental setup, and has presented in such diverse venues as the Knitting Factory, Cakeshop, the Queens New Music Festival, and the Wassaic Festival. Sō Percussion, Mobius Percussion, NOW Ensemble, Newspeak, the Berkshire Symphony, and many others have performed his concert music. Recordings of his work appear on New Amsterdam Records and SEAMUS. Andrea joined the faculty of the Princeton Writing Program in 2010, where he taught several first-year writing seminars, including "Music and Power" and "Found Sound," through spring 2015. As Adjunct Professor in the Production Program at Ramapo College of New Jersey's School of Contemporary Arts, he taught beginning and intermediate Electronic and Computer Music. 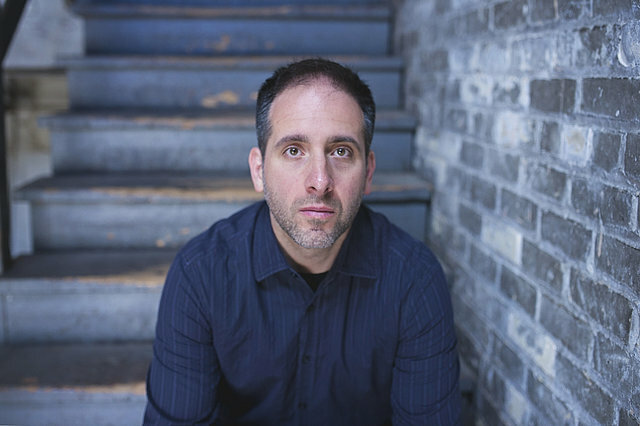 He currently teaches composition, music technology, and music fundamentals as Visiting Assistant Professor of Music at Carleton College, and directs the composition program at the Sō Percussion Summer Institute. His first book, One More Revolution, will be published by The Operating System in 2017. Mobius Percussion is an ensemble of young musicians that bring a visual and theatrical edge to their performances. By working with a wide range of collaborators including videographers, dancers, fashion designers, thespians, and like-minded composers, they are breaking down the traditions of classical music performance in favor of an immersive concert experience. The Brooklyn-based quartet (comprised of David Degge, Mika Godbole, Yumi Tamashiro, and Frank Tyl) performs frequently throughout the tristate area at venues such as (le) Poisson Rouge, Baby’s All Right, Shapeshifter Lounge, and the Princeton Sound Kitchen and have been guest artists on Vicky Chow’s Contagious Sounds Series, Andrea Clearfield’s Salon Series, The Firehouse New Music Series, and So Percussion’s Brooklyn Bound.